The ISON comet, is being referred to as the 'comet of the century' and will create a super bright display in the night sky - possibly for weeks! NASA's Hubble telescope has snapped some of the first pictures in visible light of Comet ISON, which may become one of the brightest we've ever seen from Earth. Comet ISON, discovered in September of last year by Russian Vitali Nevski, is headed in our direction. And although the sungrazing comet is still more than 394 million miles away (a little closer than Jupiter's current orbit), NASA's Hubble telescope managed to capture an amazing photograph on April 10. NASA believes that when ISON is at its closest point to the sun on November 28 of this year, it will briefly become brighter than the moon in the sky, making it a serious contender for "comet of the century." A huge meteor crashes nearby to a music concert over Argentina, on Sunday April the 21st, 2013. This happened last night in Santiago del Estero, a province in the northwest of Argentina. Source MUFON: Filmers comments: Massive glowing orb as seen through night vision. Watched as it picked up speed - accelerated and vanished into space. Recorded from my backyard. Footage of the Sirius movie premier, on April the 22nd, for all those who missed the livestream today. 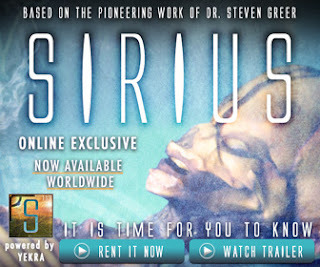 This long awaited movie by Dr Greer, looks at numerous topics such as UFO disclosure, ET autopsies, DNA analysis and free energy and propulsion technologies. Jaime Maussan Speaks On TV About Latest UFO Cases! Jaime Maussan on the TV show, Televisa Sabadazzo, showcases the latest in UFO evidence. This interesting recording during daylight, was filmed over the town of Zitácuaro in Mexico. You can hear perfectly that the family who is recording this footage, is impressed by the event. Two schoolgirls from Khakassia, Russia, managed to take incredible shots of a flying saucer. Eyewitnesses have no doubt that they had seen a UFO. Sneak peek of footage from the eagerly anticipated documentary, Sirius. The movie doesn't just focus on ET's and the UFO coverup, but also the bigger coverup that's occurring in regards free energy access devices and advanced propulsion. Also just wanted to remind everyone of something interesting brought up by a reader.